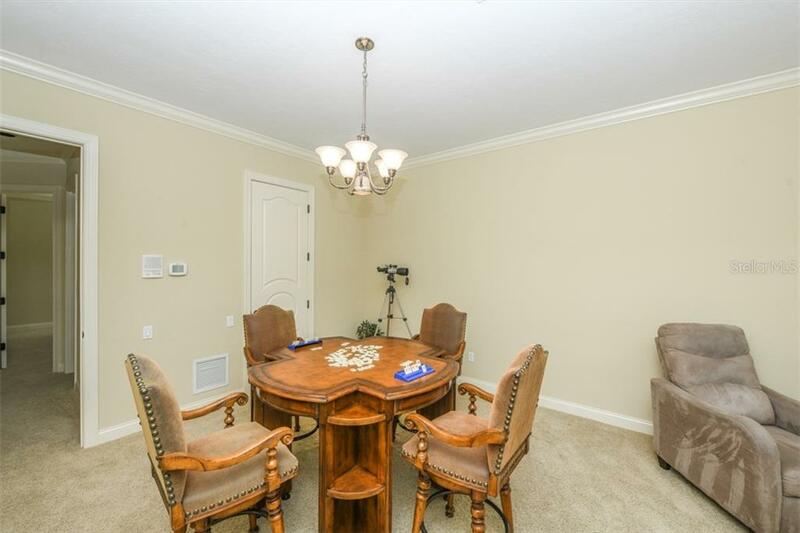 Ask a question about 16206 Clearlake Ave, or schedule a tour. 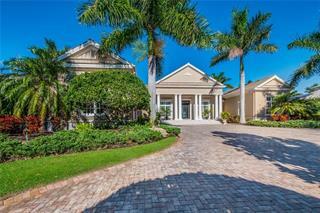 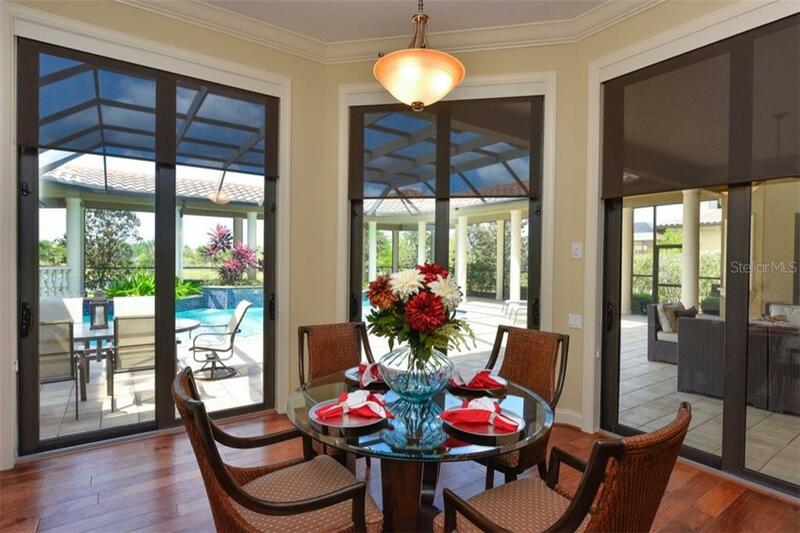 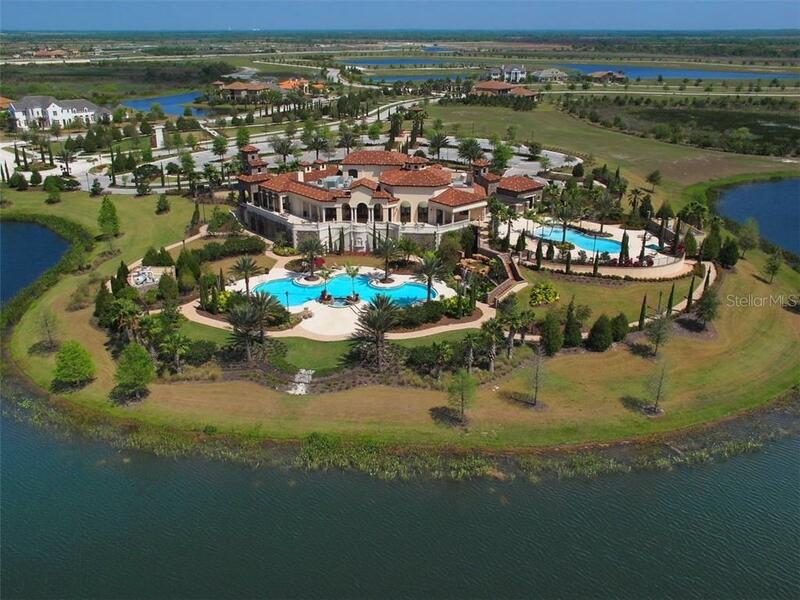 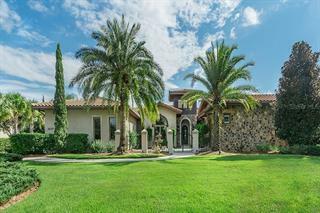 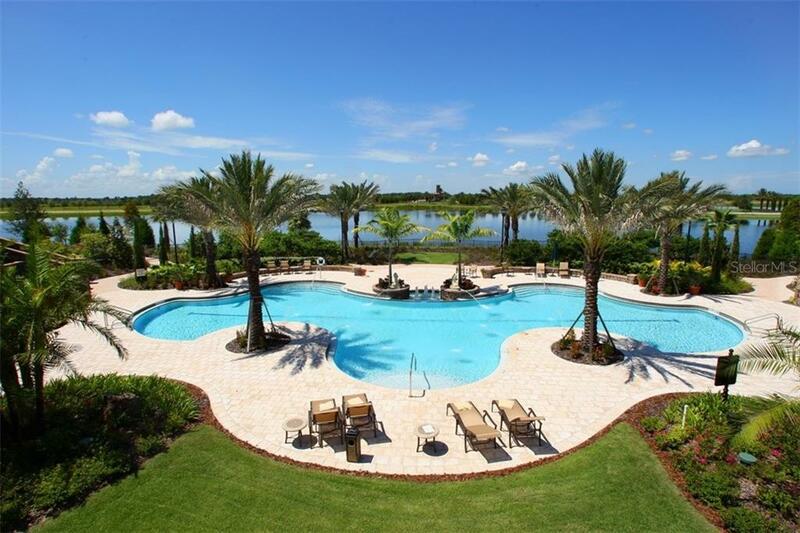 Experience a signature sense of glamour from the Martinique, a Mediterranean-style estate within the Lake Club. 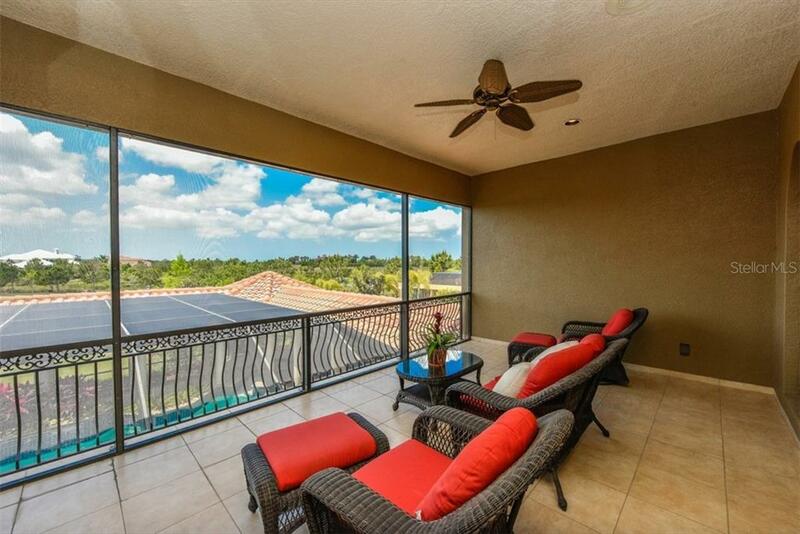 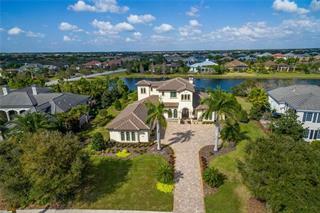 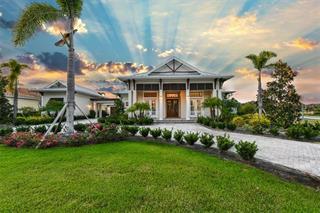 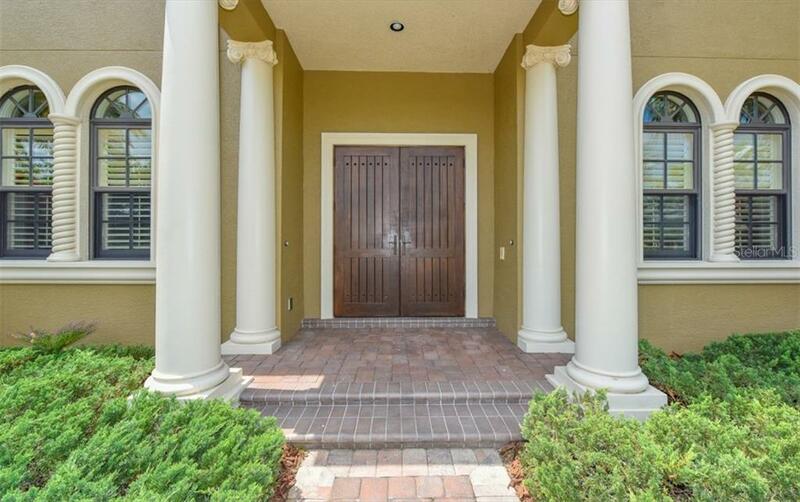 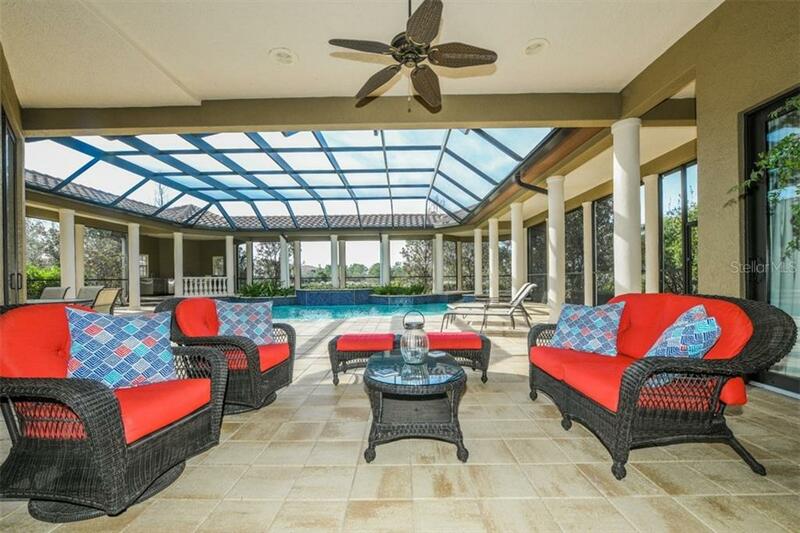 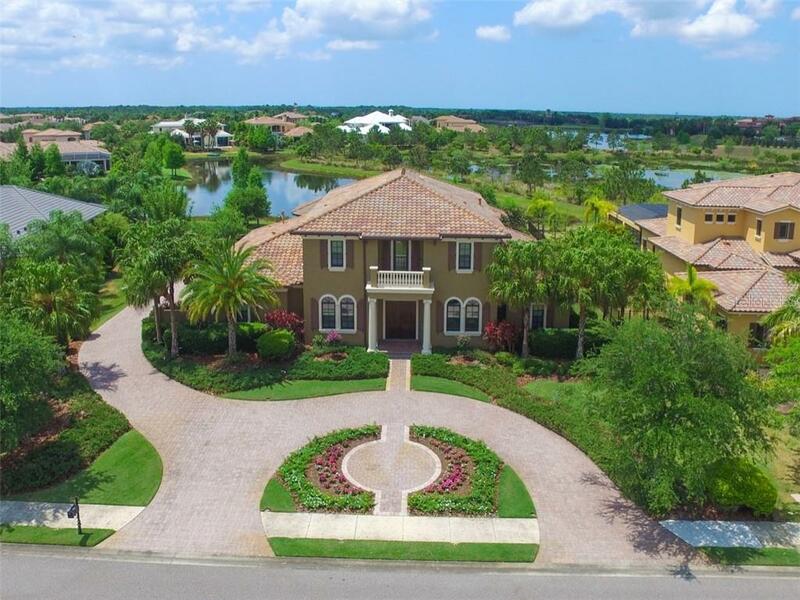 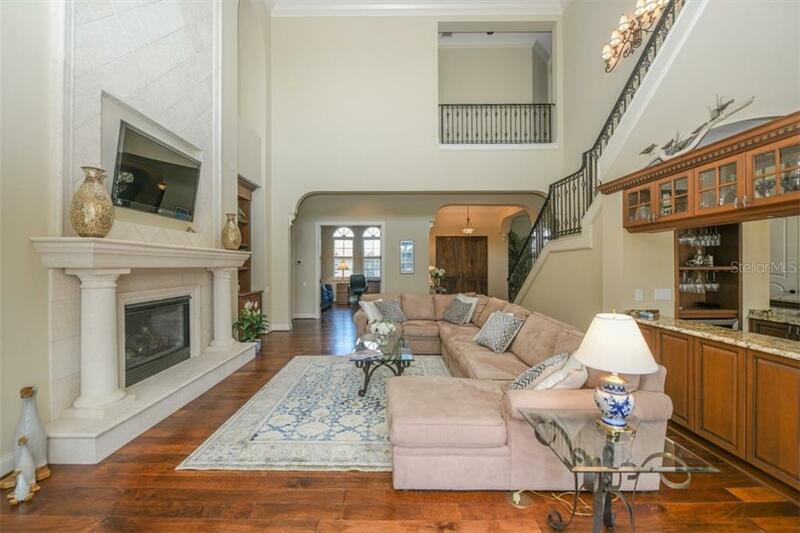 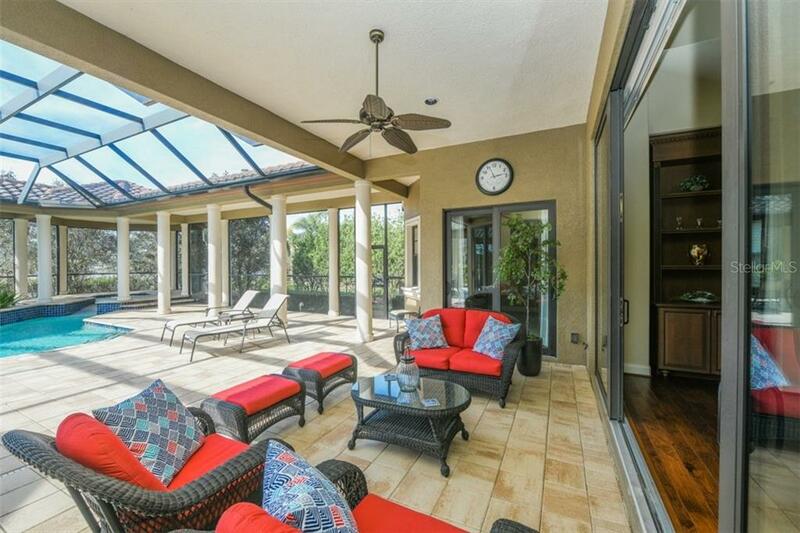 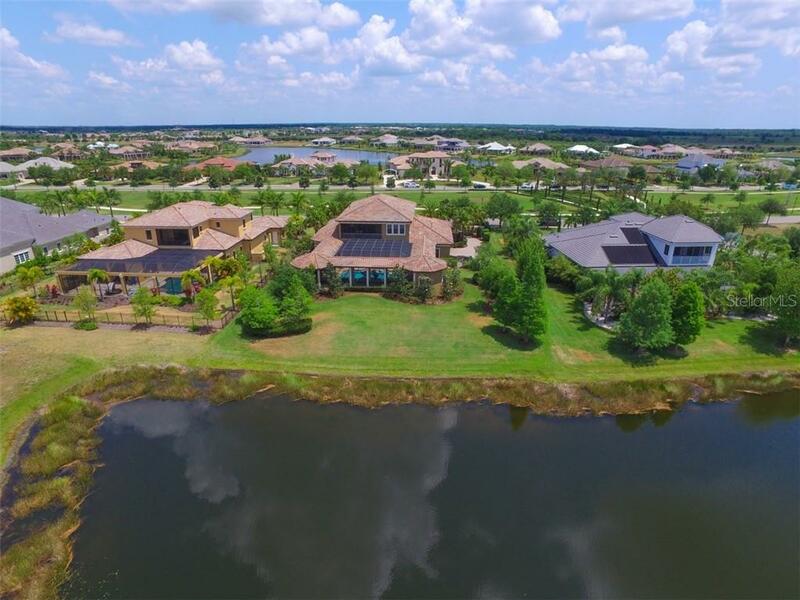 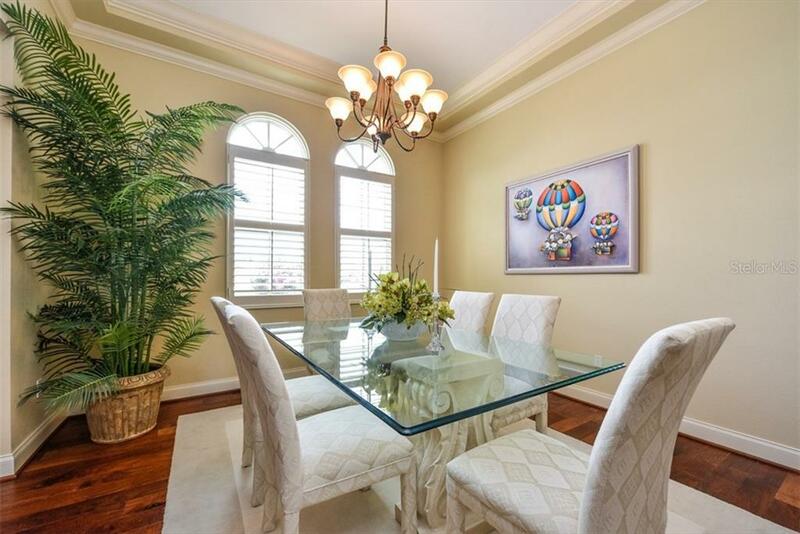 Set on a tranquil lake with tropical landscaping and a romantic winding drive, let the Florida lifestyle take the lead as y... more.ou enjoy seamless indoor/outdoor living. 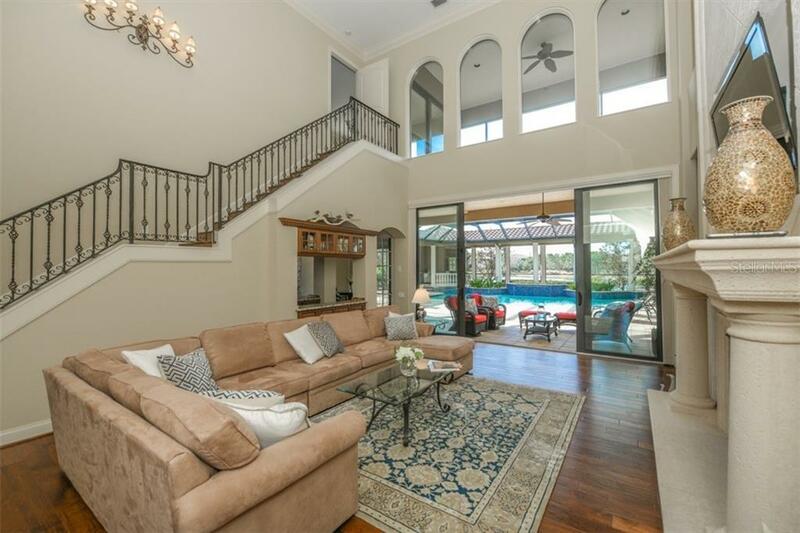 The drama begins in the magnificent grand room, complete with 23’ ceilings overlooking an Italian-inspired outdoor living area with sparkling pool, covered colonnade, and water views. 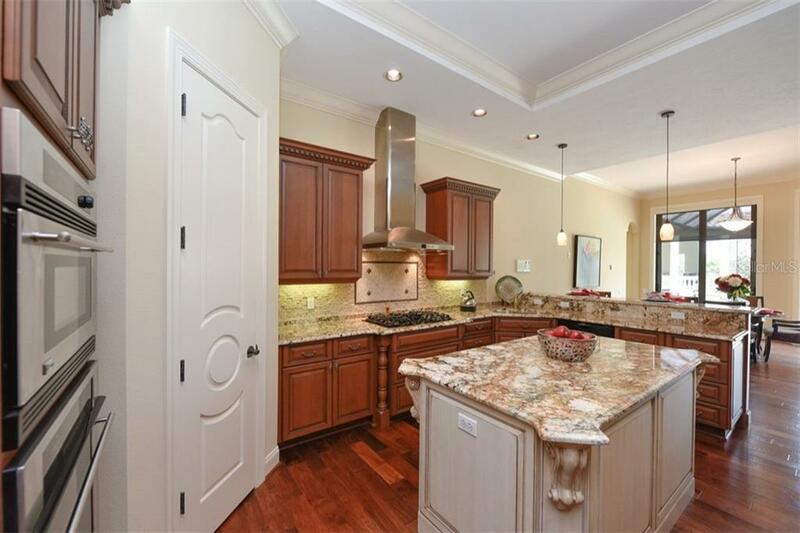 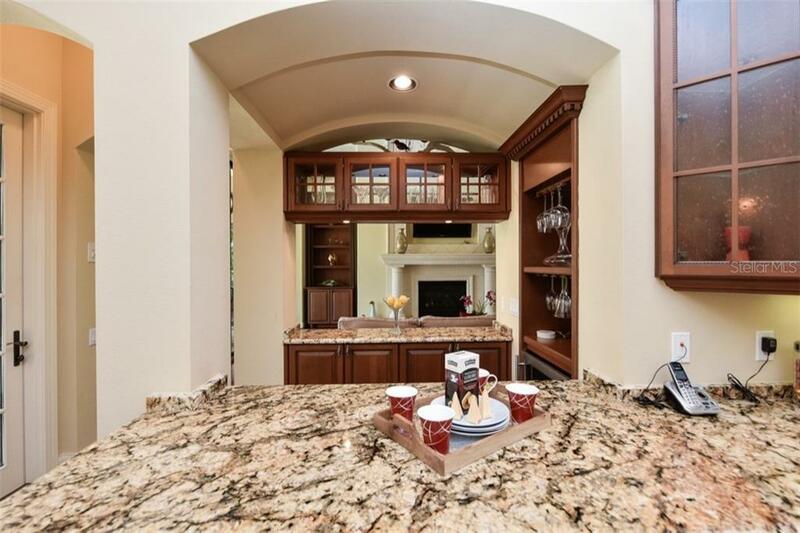 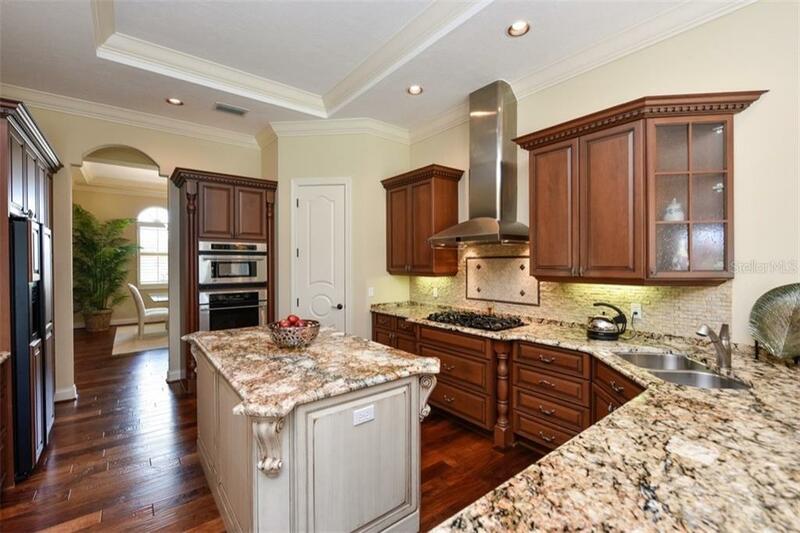 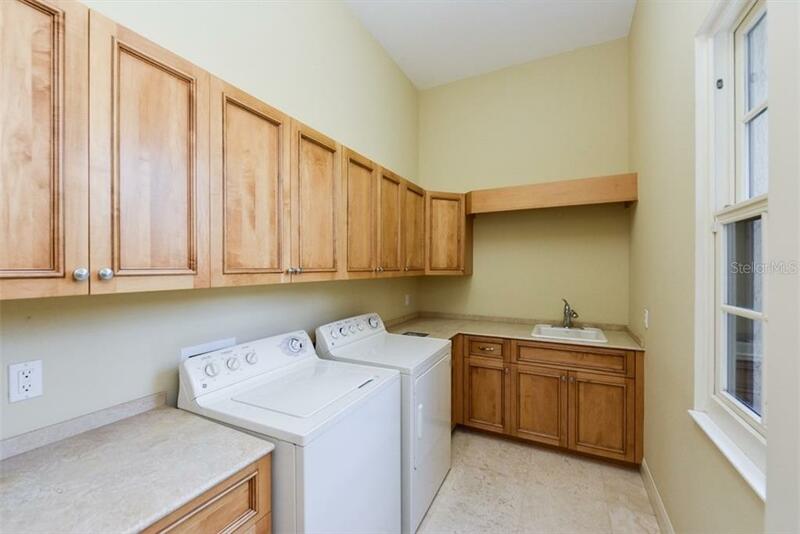 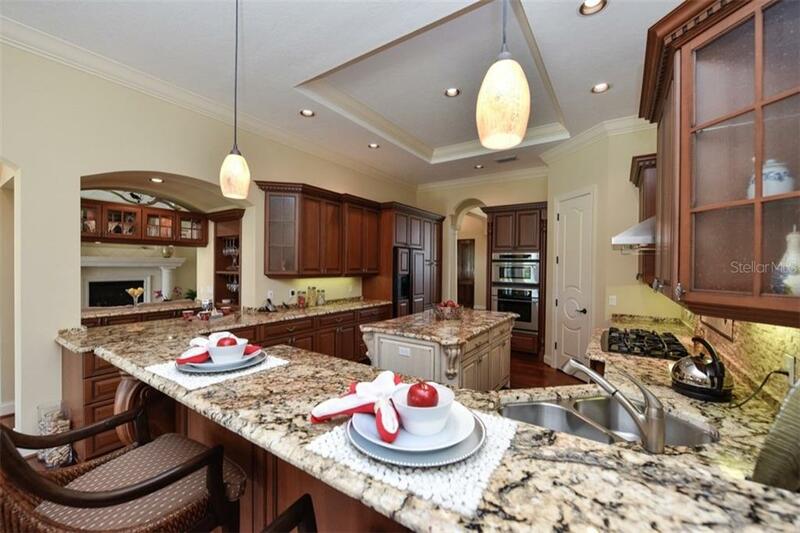 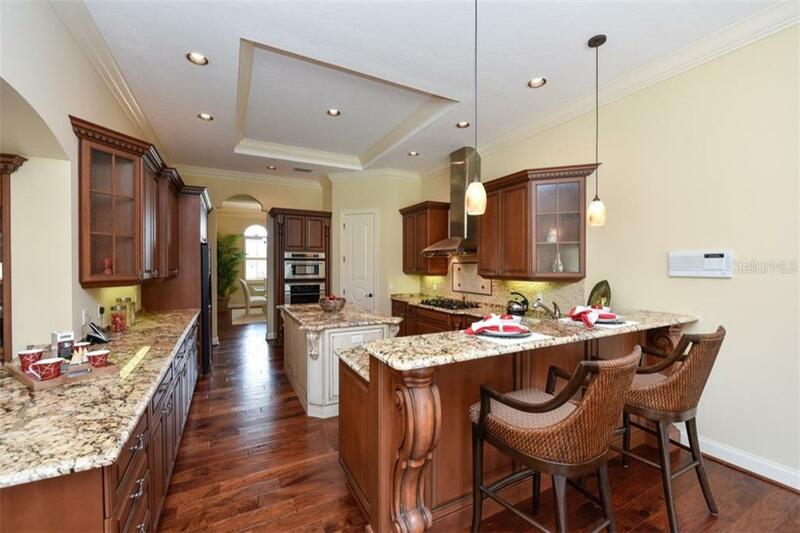 Achieve culinary excellence in the gourmet kitchen with two pantries, large center island, breakfast bar, and bar/wine cooler. 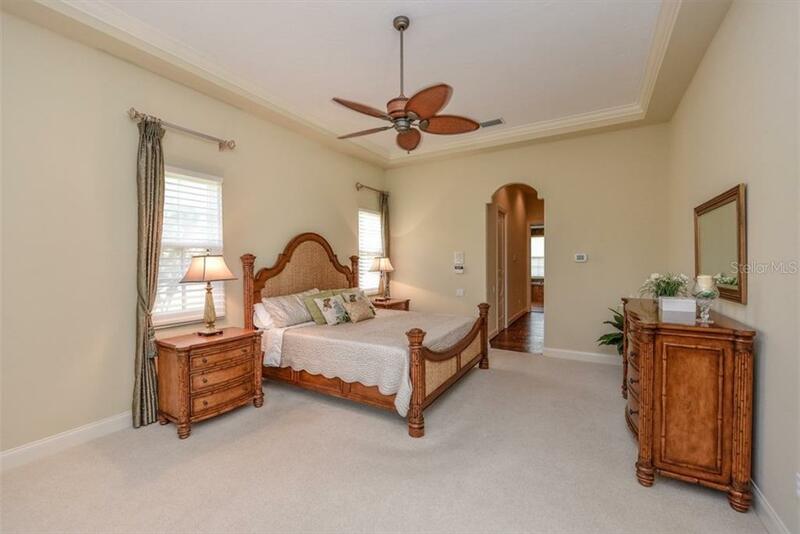 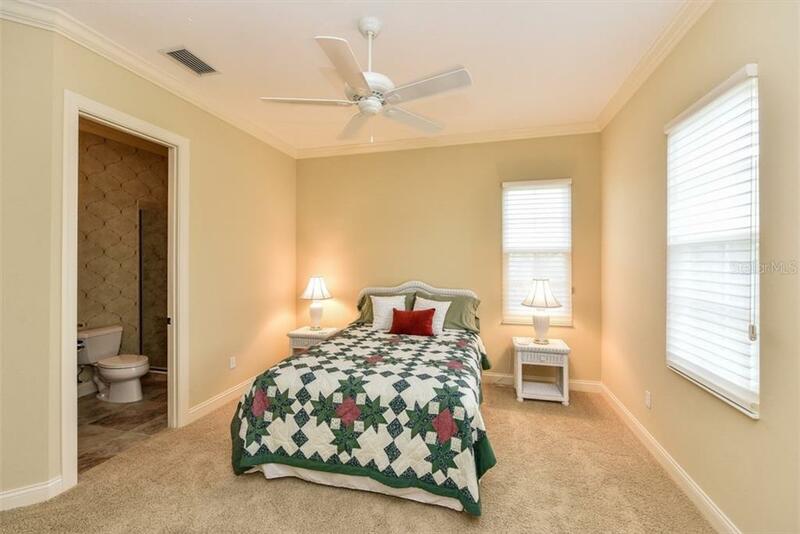 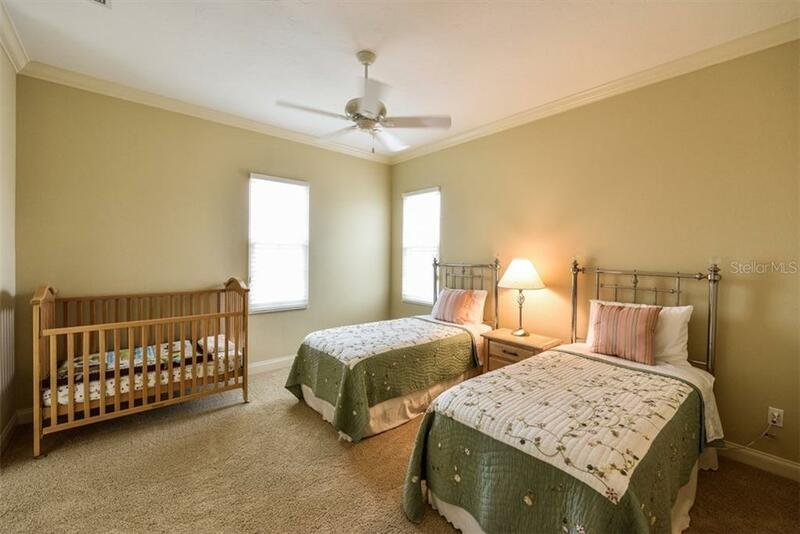 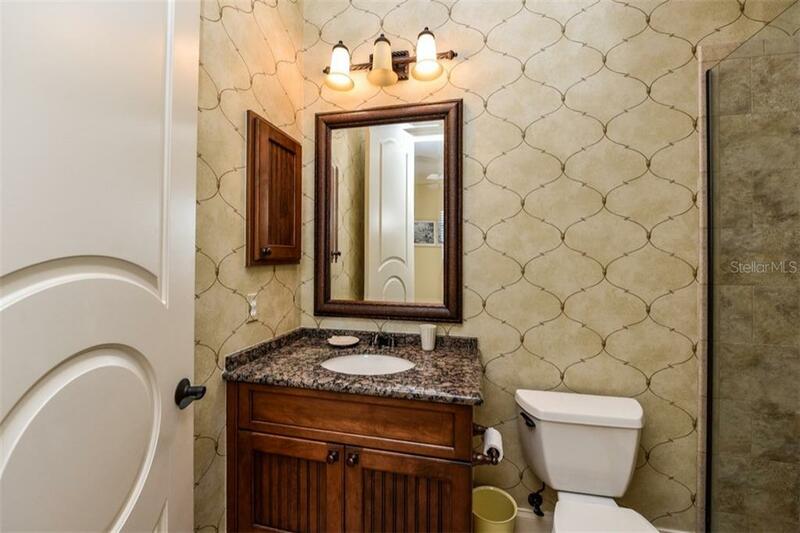 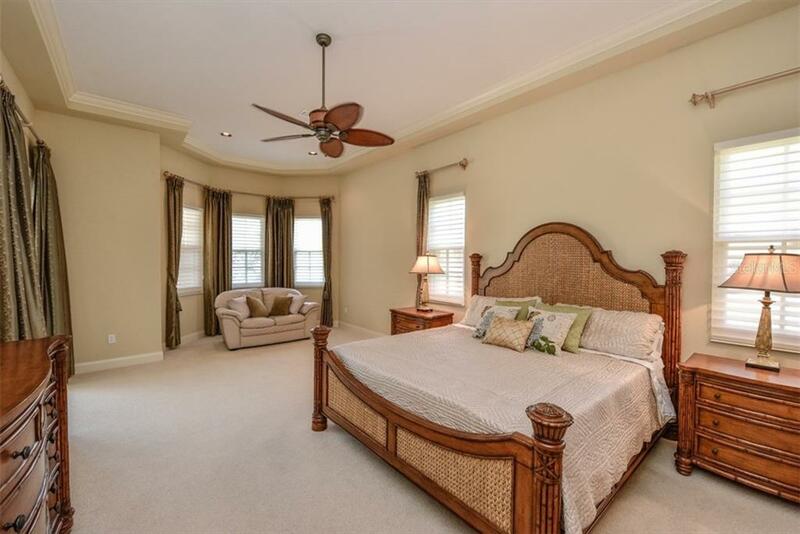 Retreat to the master suite with two walk-in closets and a private sitting area; the bath is luxuriously appointed with separate vanities, walk-in shower, and 6’ spa tub. 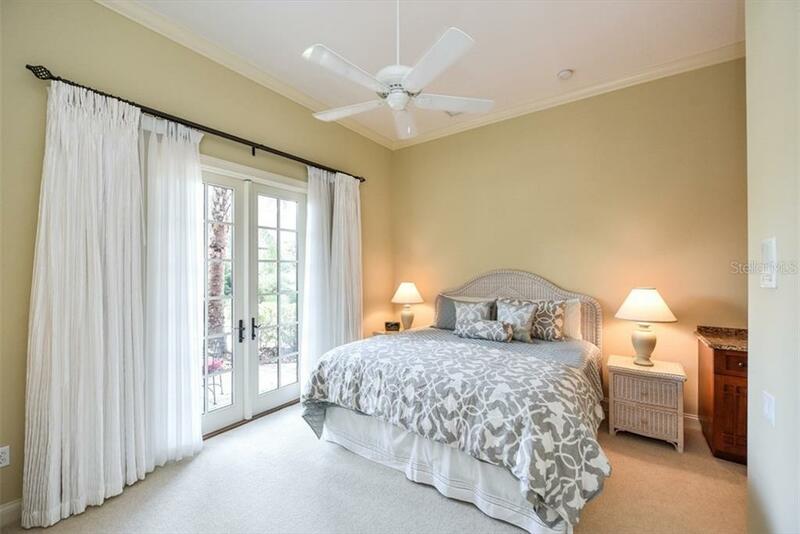 A separate guest suite features its own outside entry, deck, and morning bar – ideal for extended stays or multi-generational living. 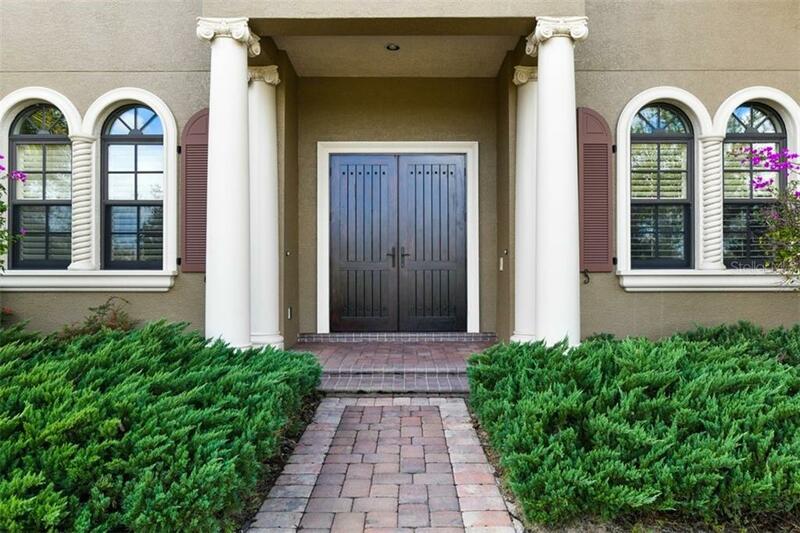 Proceed up the wood staircase with elegant architectural wrought iron handrails and find generously-sized suites with their own walk-in closet and ensuite bath. 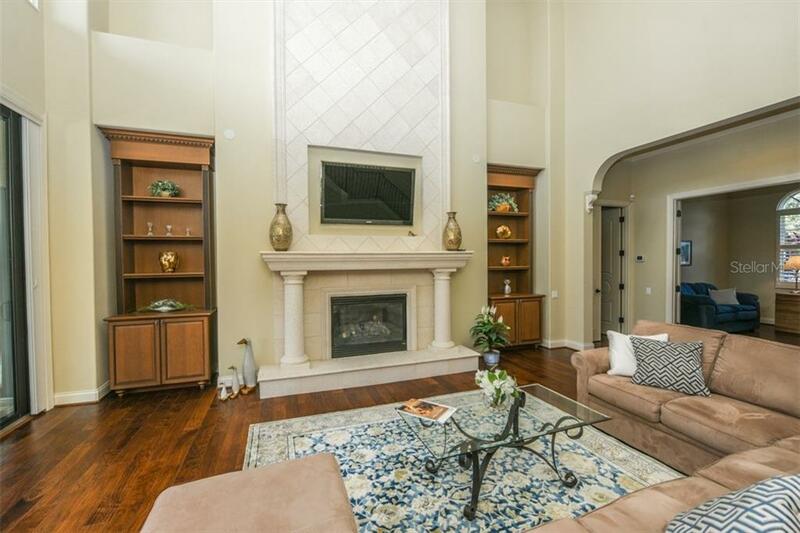 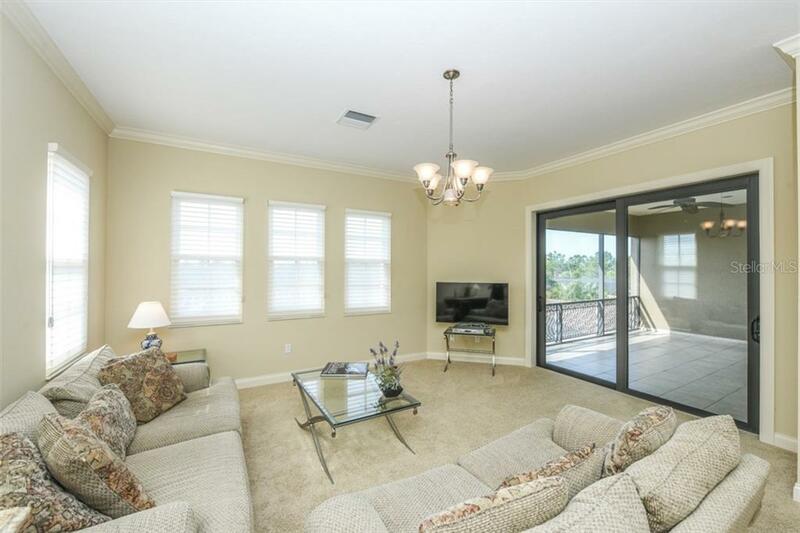 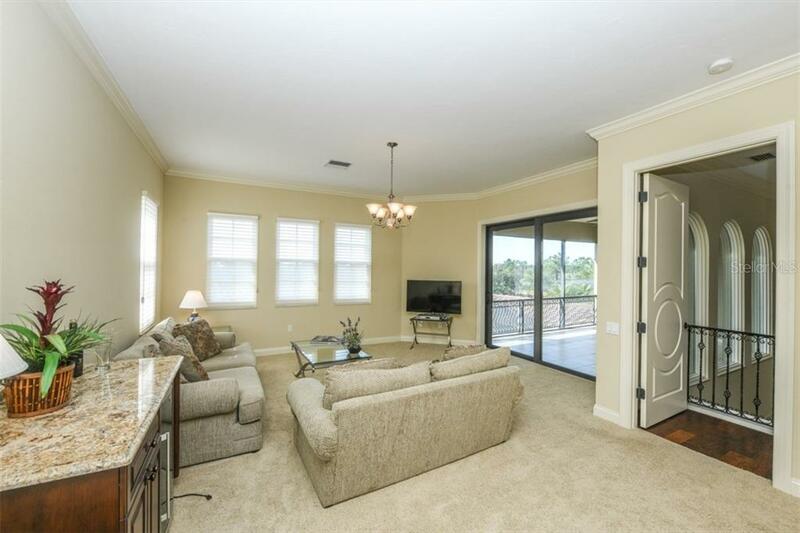 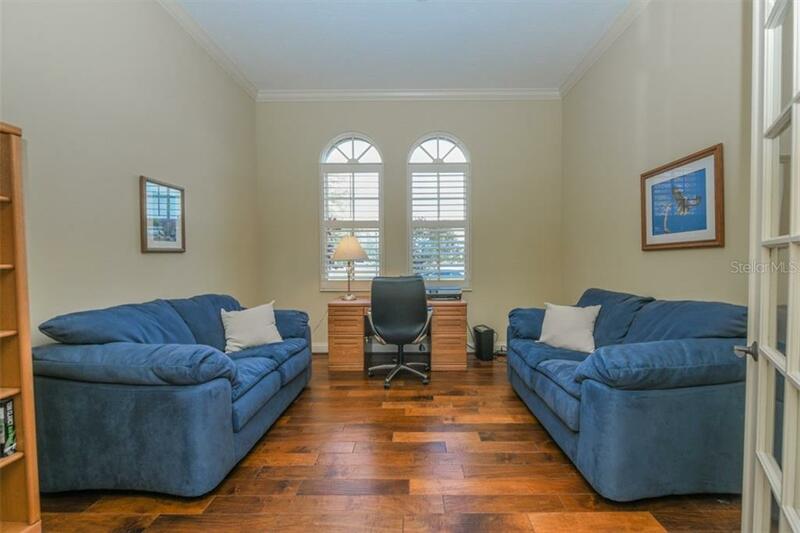 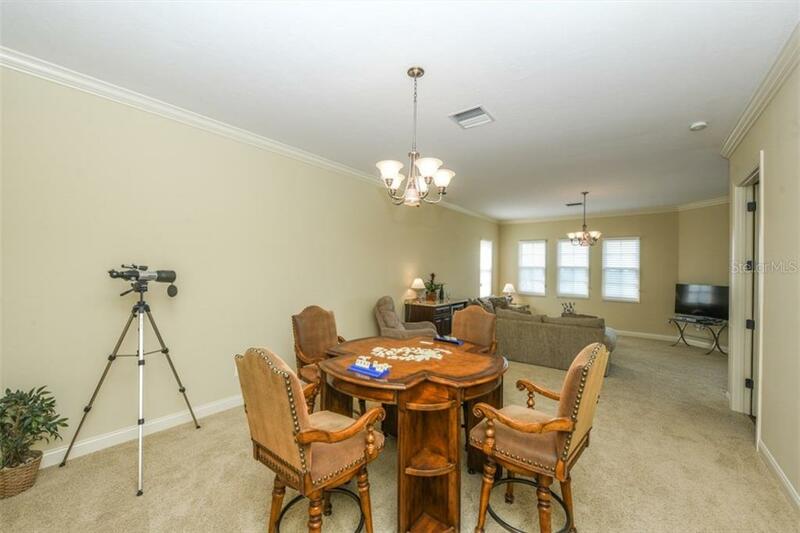 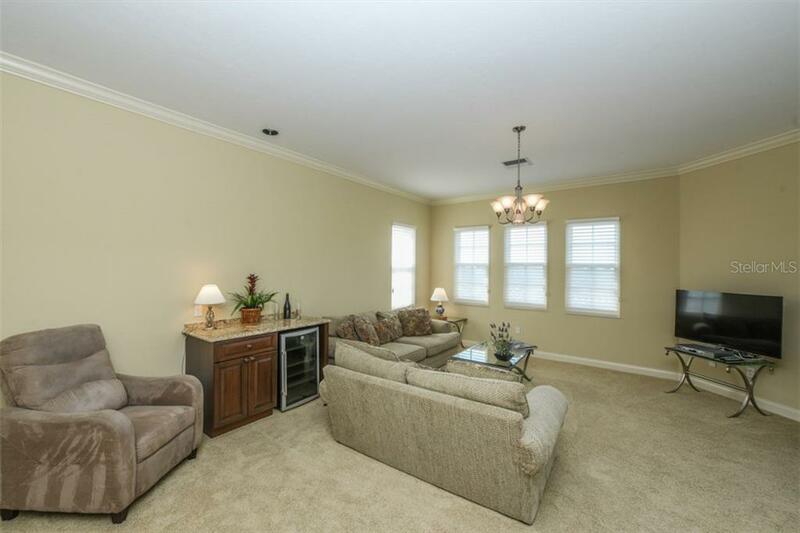 A bonus room with balcony is perfect for gaming, TV, or billiards. 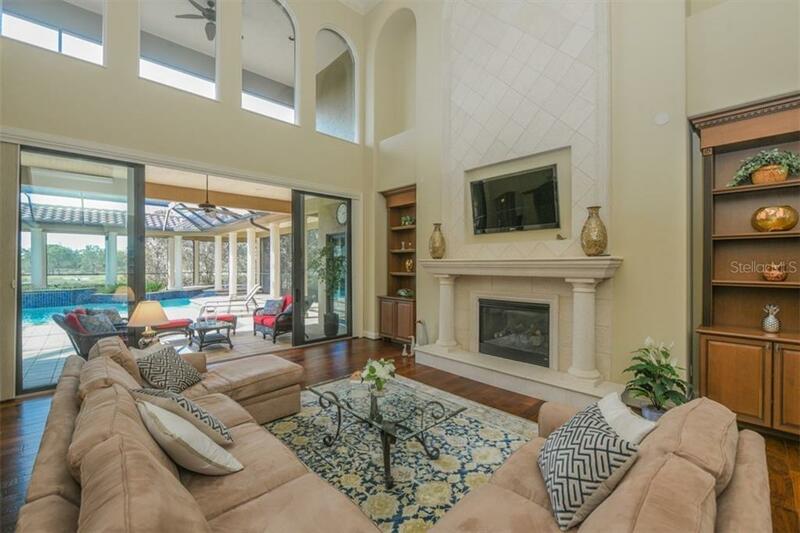 Embrace the spirit of the Tuscan countryside on the spectacular outdoor living area where a covered colonnade wraps around the pool. 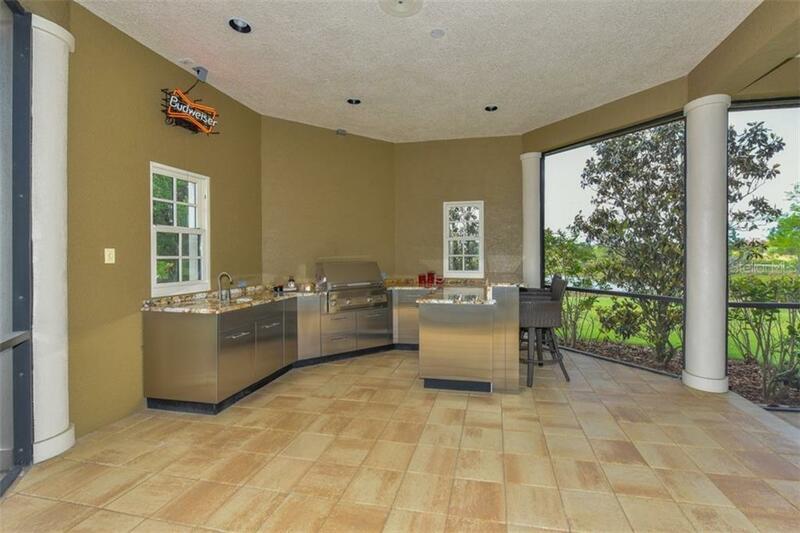 Entertain with finesse and resplendence as you grill in your own private gazebo, host events worthy of the society page, or simply relax and enjoy the sound of the waterfall. 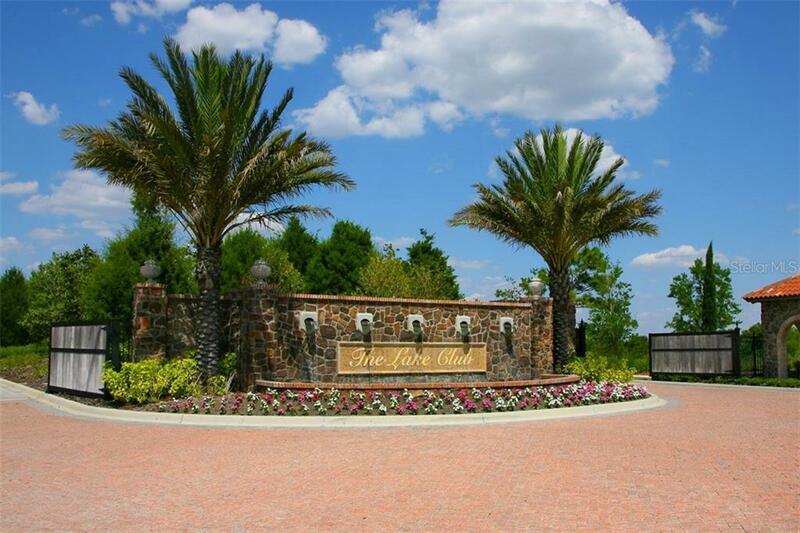 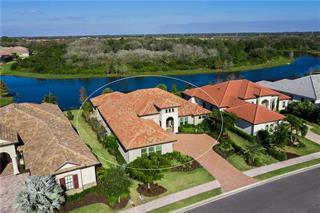 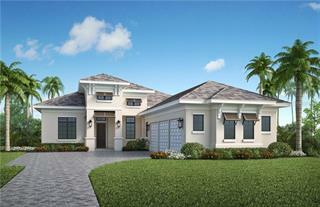 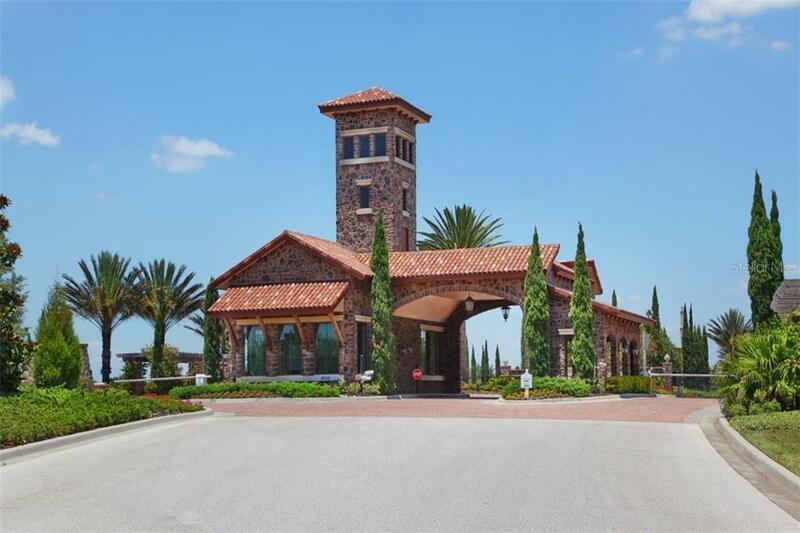 Live in the jewel of Lakewood Ranch, named one of the nation’s top-selling master-planned community.